Aerial view of Mt. 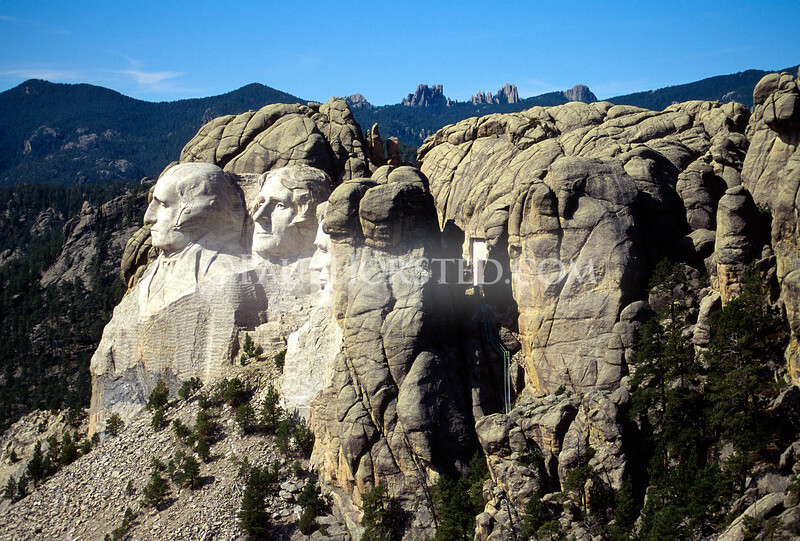 Rushmore, showing the carved presidential faces at left. The Hall of Records was carved into solid granite on the wall of the canyon behind the faces; the opening to the Hall of Records is visible in this view.